An online portal analyzing and comparing member documents, performing enhanced screening and risk rating all in minutes. Never waste time on data capture, human errors and admin again. DocFox is trusted by credit unions, banks, asset managers and more all around the world. DocFox analyzes member documents, extracts relevant fields and compares themto other data on file. The collection and analysis of documents happens automatically through a custom branded portal, eliminating the need for you to spend time on data capture or the process of going back and forth to gather the correct information. 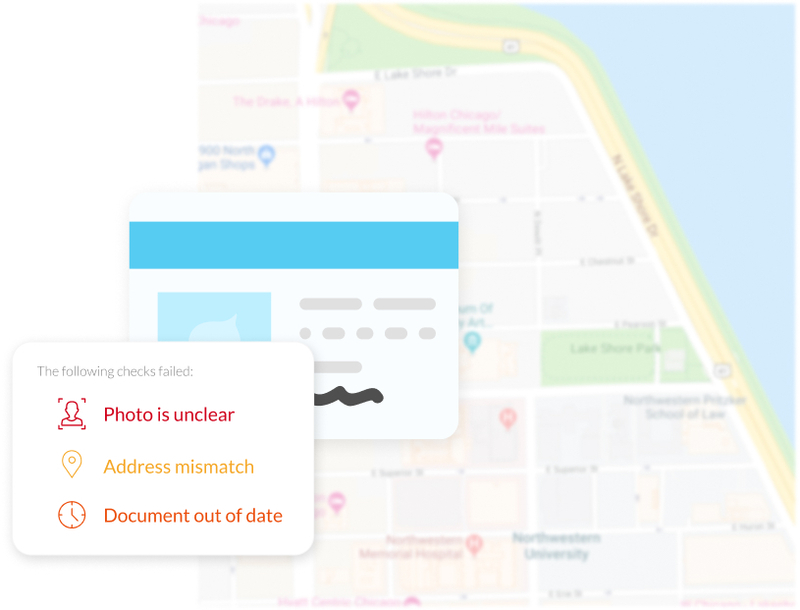 Mismatches between documents and member information will be flagged for your attention.Incorrect documents are automatically rejected and the member is guided on how to correct their mistake. DocFox creates a seamless and responsive member experience. Your member database is screened daily against PEP, sanctions and criminal lists. 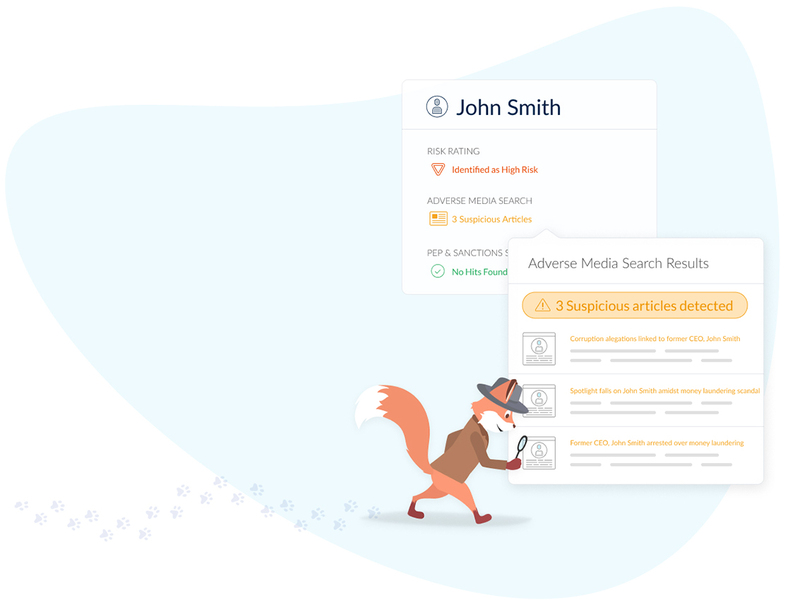 DocFox also combs through billions of news articles searching for any negative content so you know who your member is. You can create different risk rating frameworks with unique revision periods for each member type and line of business. Every action performed by the member and your compliance team is tracked, logged, time & date stamped. Each of these events can be supported with additional notes from the compliance team, giving deeper context and robustness for future reviews or audits. Company branded reports can be generated for each member at any stage of account opening or ongoing due diligence drilling down to the finest of details. A branded experience that is fully responsive on desktop, tablet and mobile so that your members can submit their documents from anywhere. Proactively manage and delegate tasks with time and event-triggered reminders, ensuring all ongoing due diligence is tracked and performed on time. Whether you are using our ready-to-go predefined templates or prefer to customize every detail, DocFox can be configured for any size organization. Straightforward pricing, no setup or support fees, no hidden fees. For more information get in touch. We can get you running almost instantly. Once you are live our dedicated support team will be on standby to assist with any questions through chat or email support. Please get in touch for a demo or just to connect, we’d love to hear from you!